As the summer arrived, so did our 2017 impact report. Featuring a brand-new design, some exciting stats and fantastic photos, our 2017 impact report is a compilation of everything HGF got involved in last year. The 2017 impact report is available now, and a copy can be posted to you on request. Simply get in touch via email info@hgf.org.uk to request your copy today. 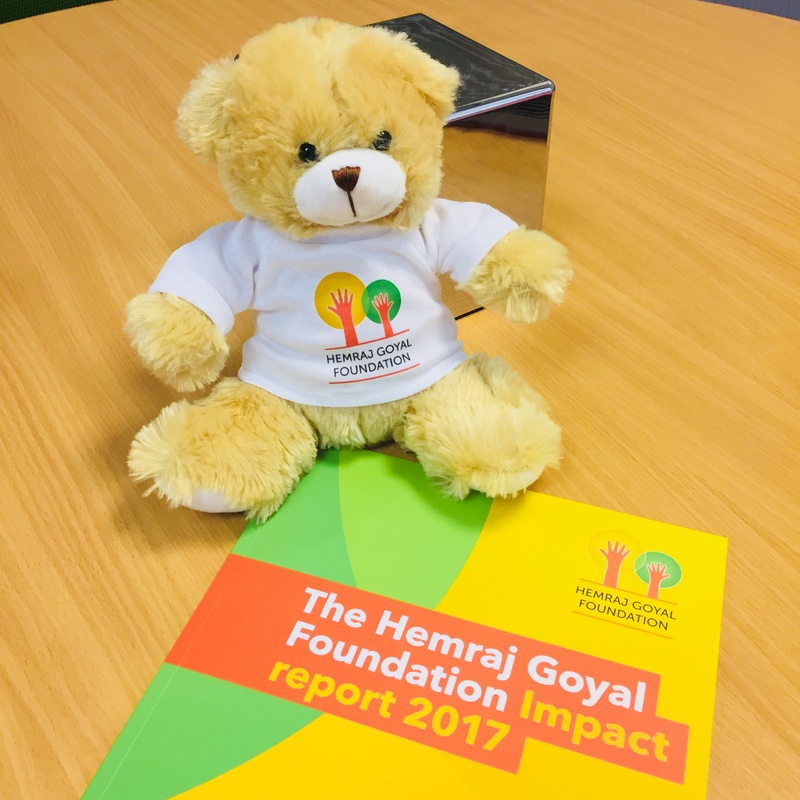 The arrival of the reports came hand in hand with the introduction of our brand new HGF teddy bear, christened ‘Hemi’ by members of the Leadership Team. Hemi will be available for purchase at future events hosted by HGF, with all proceeds going to Door Step Schools in Mumbai. Door Step Schools is a school on wheels initiative led by Child Action, which brings schooling to the doorsteps of children who otherwise would not have access to any education. HGF has pledged to buy and fund a brand new bus for the project, providing increased access to children across Mumbai. By buying a “Hemi” or giving a donation, you are helping bring HGF one step closer to funding this bus and changing the lives of many children.